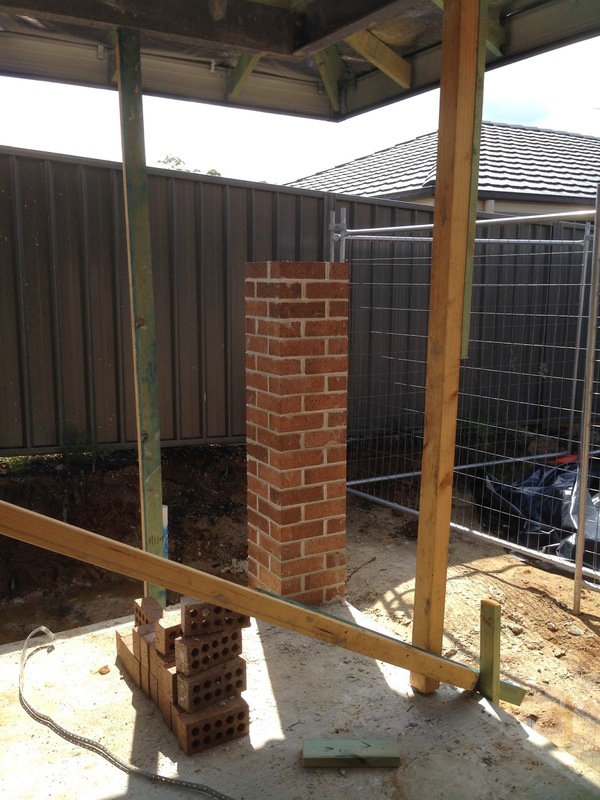 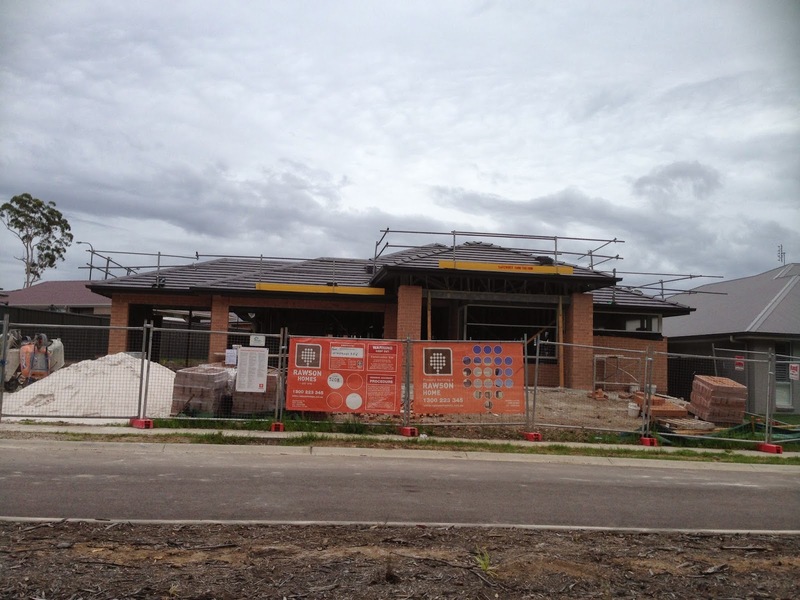 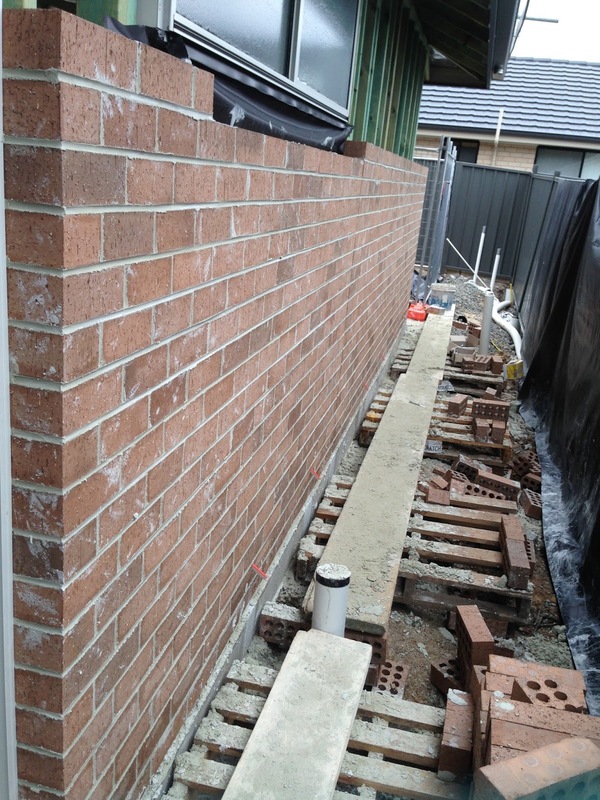 22/3/14 - Our bricks finally started being laid today. 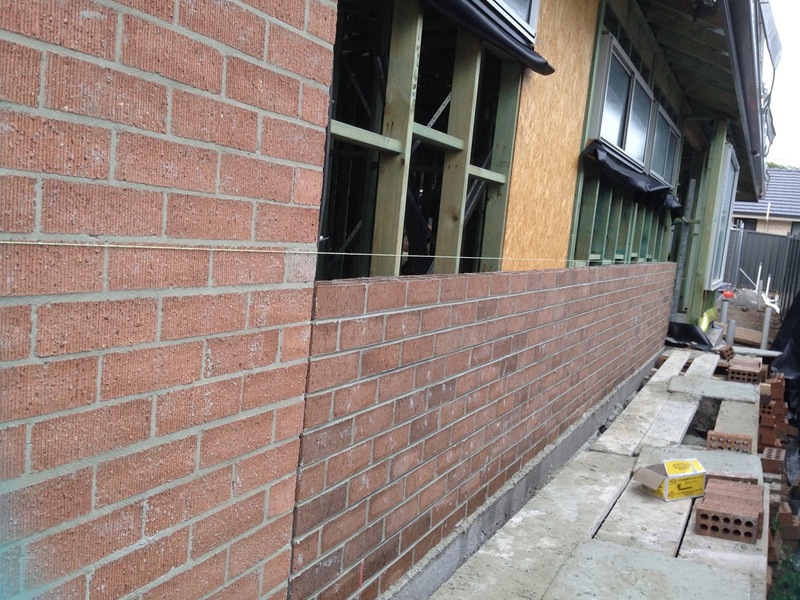 There were 2 guys working and they laid about 18 rows on the third garage wall. 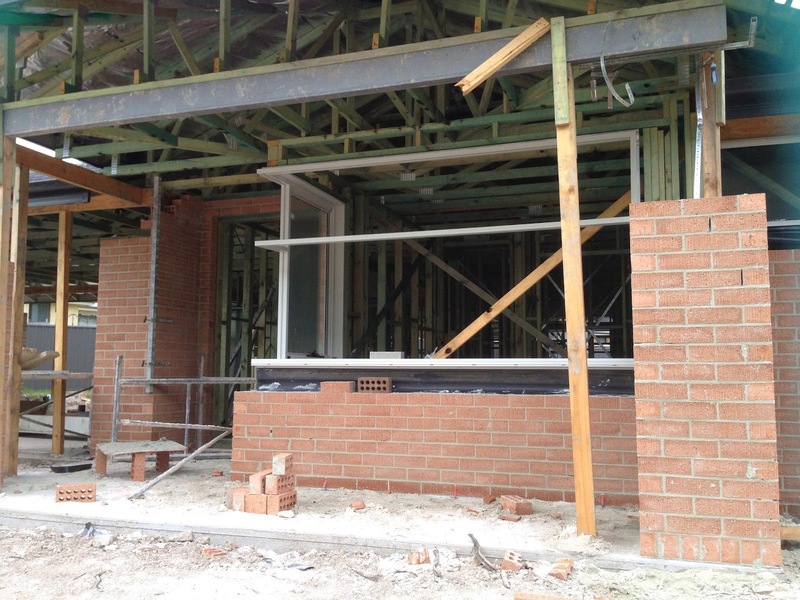 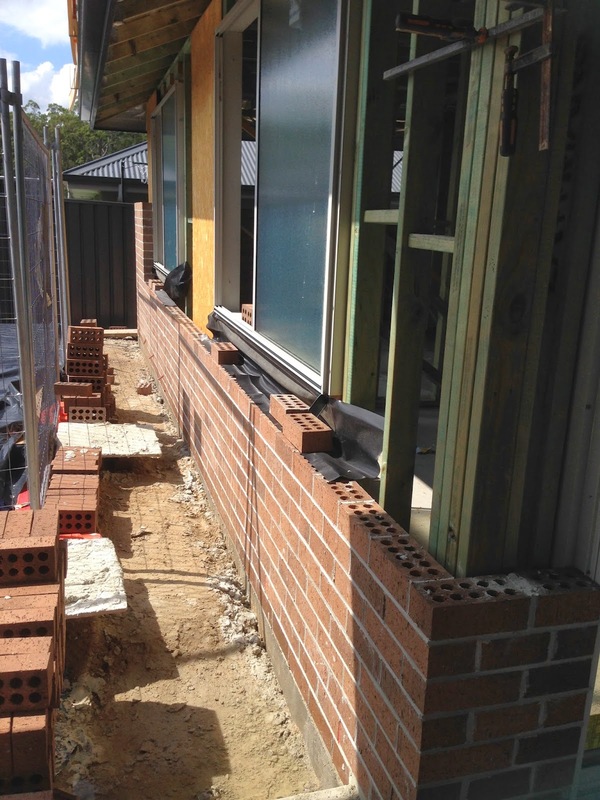 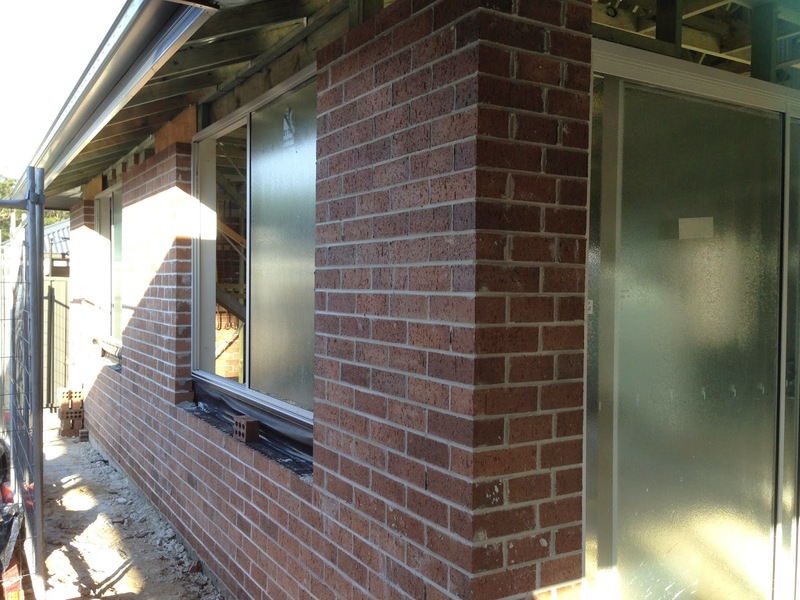 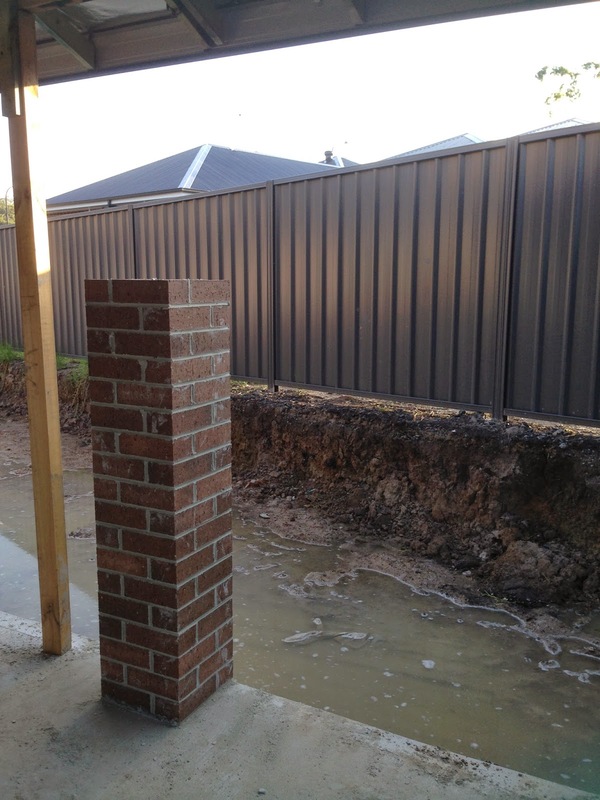 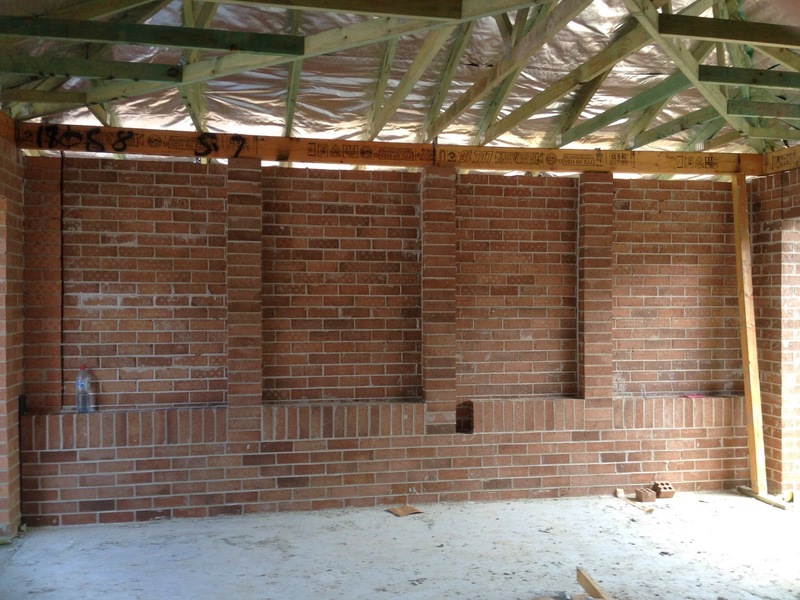 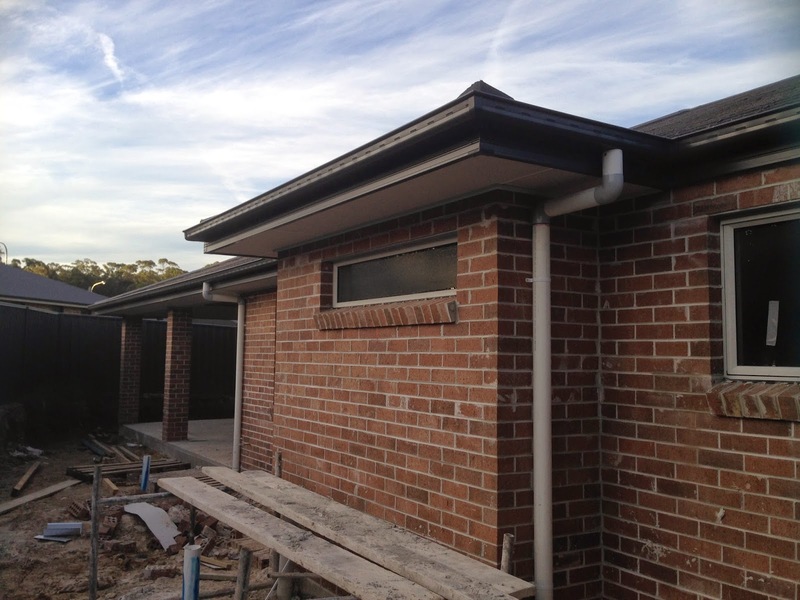 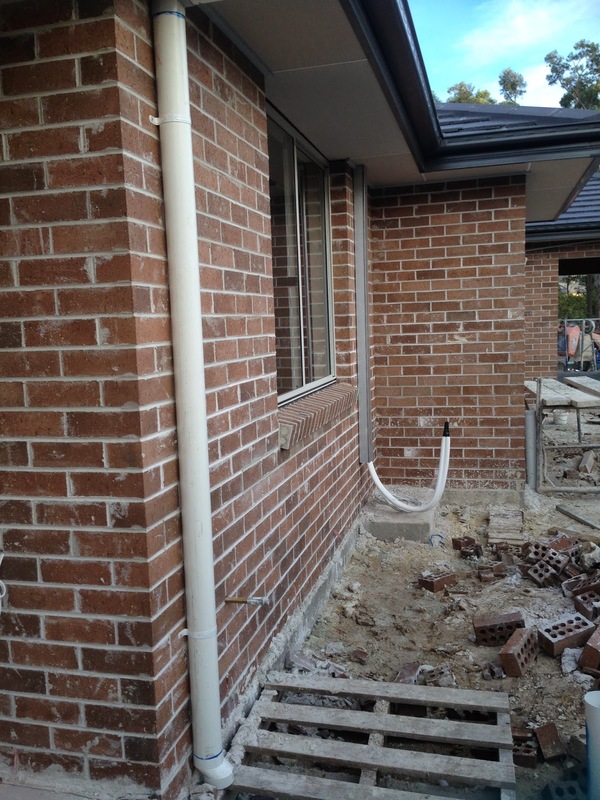 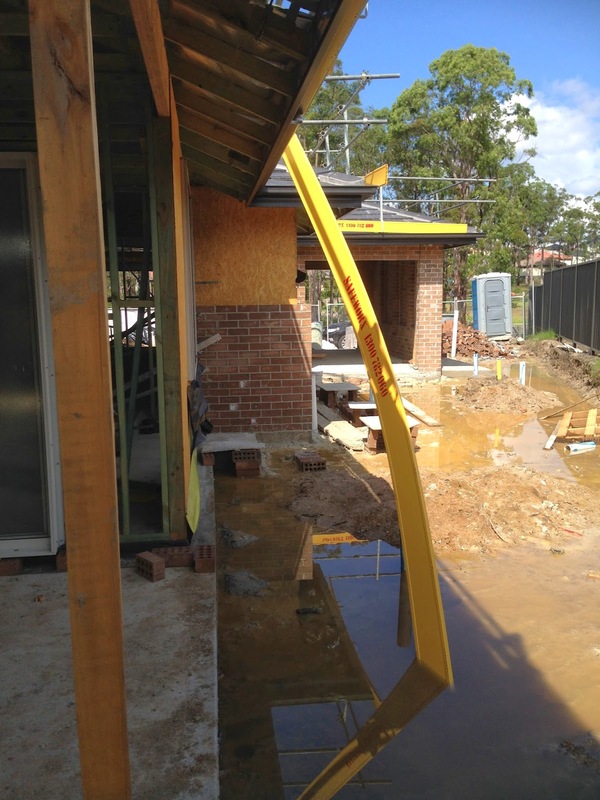 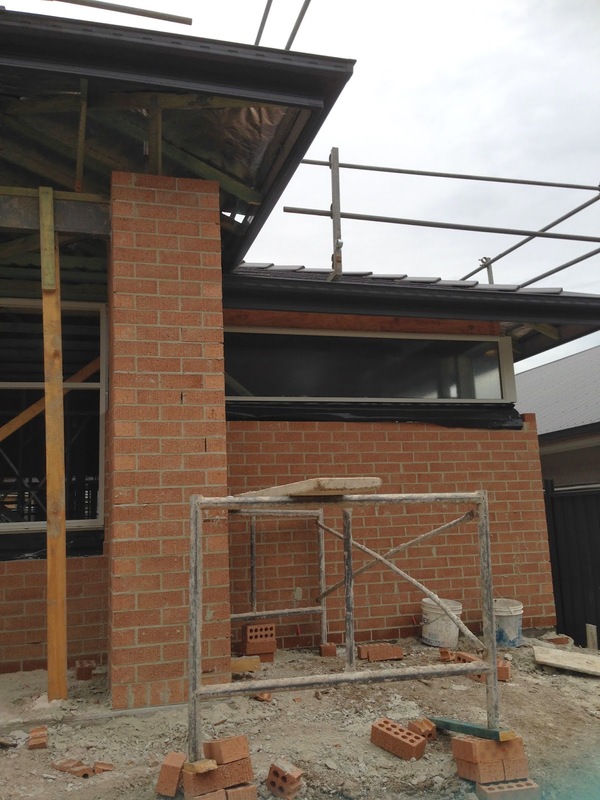 Love the colour with the different tones in each brick, just hope they match the windows and downpipes and render. 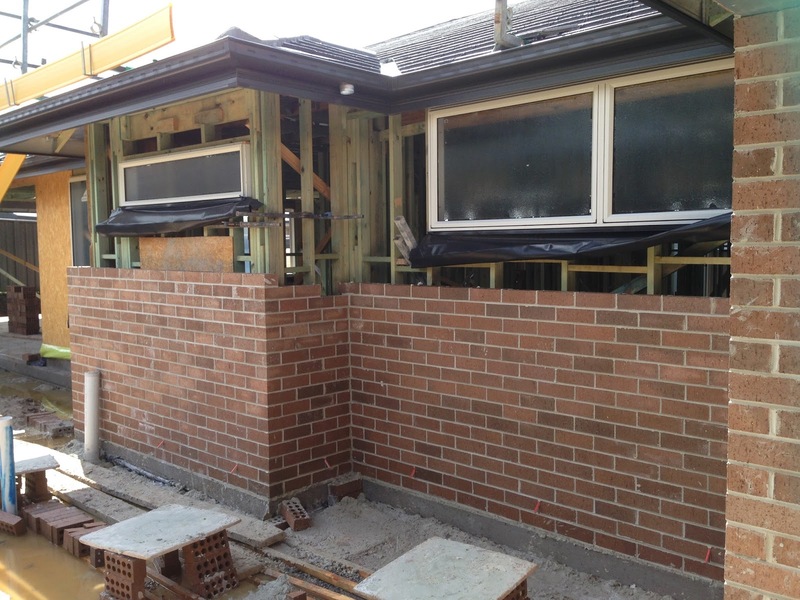 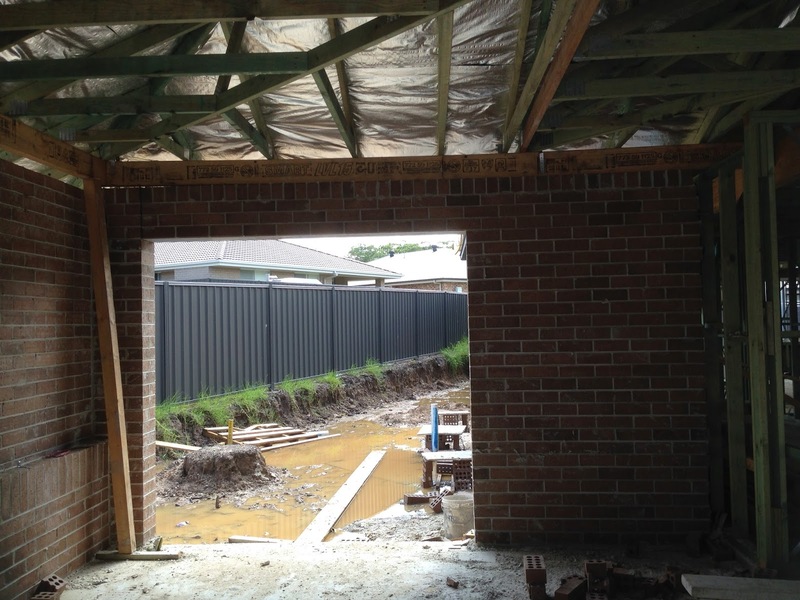 25/3/14 - Brickies have been working very hard for the last 2 days, there were at least 5 of them on-site today and we are very happy with how much they have gotten done. 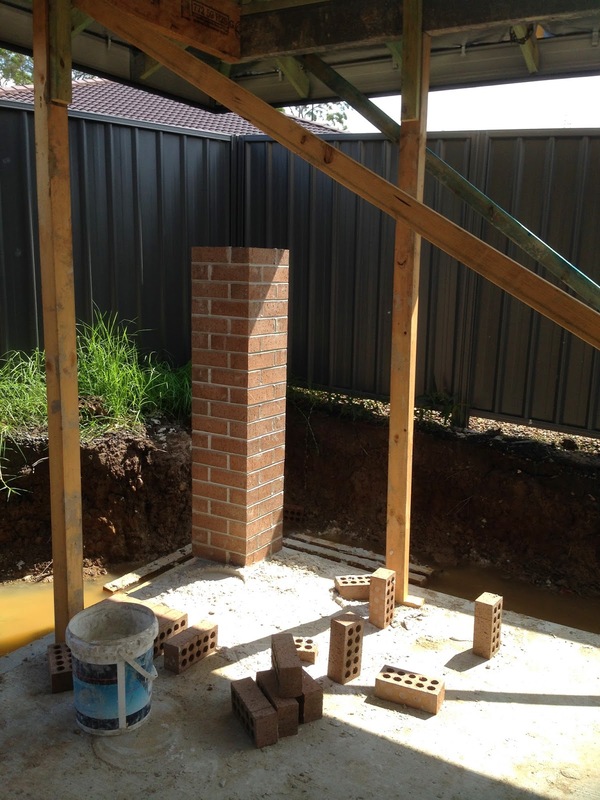 26/3/14 - Brickies were hard at it again today. 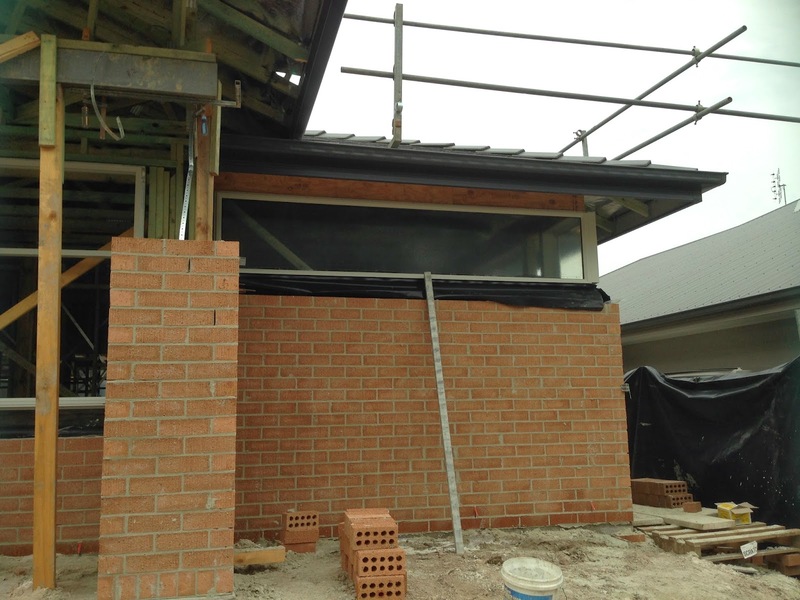 The front of the house is finished except for finishing touches around the windows, more bricking was down down the right hand side of the house and they have started across the back of the house in the pool area. 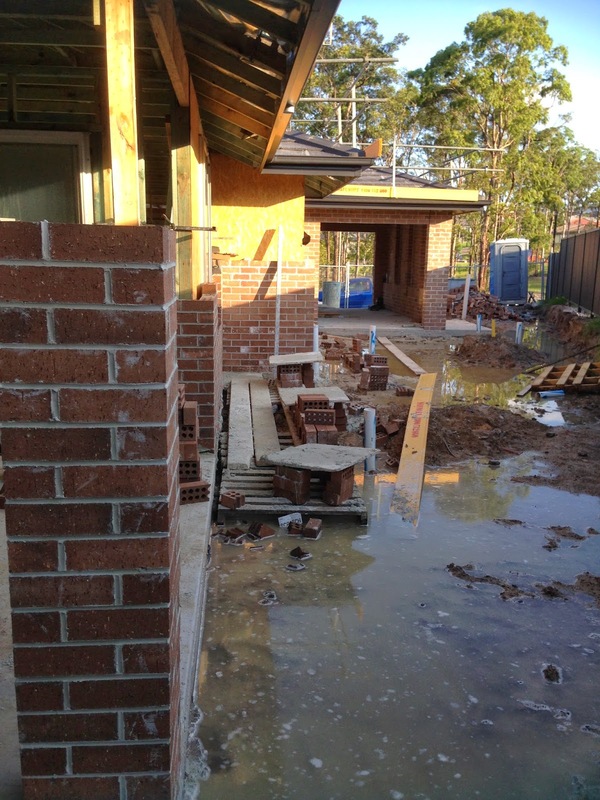 28/3/14 - Despite constant rain for the past 2 days, we have still had brickies onsite every day. 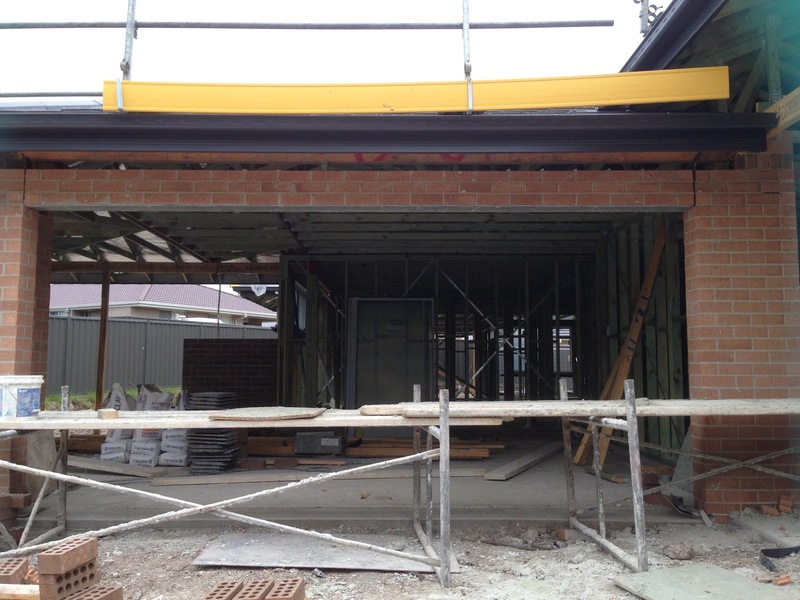 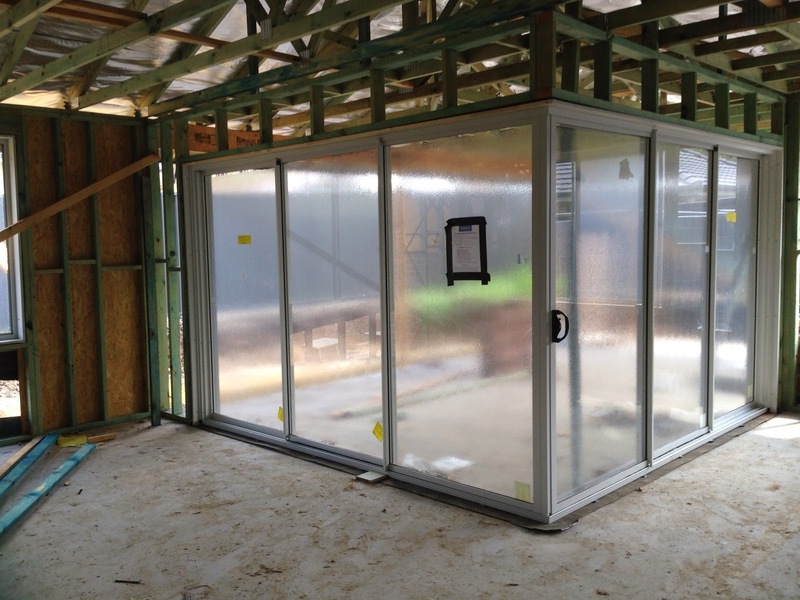 Stegbar also came and installed our stacker doors. 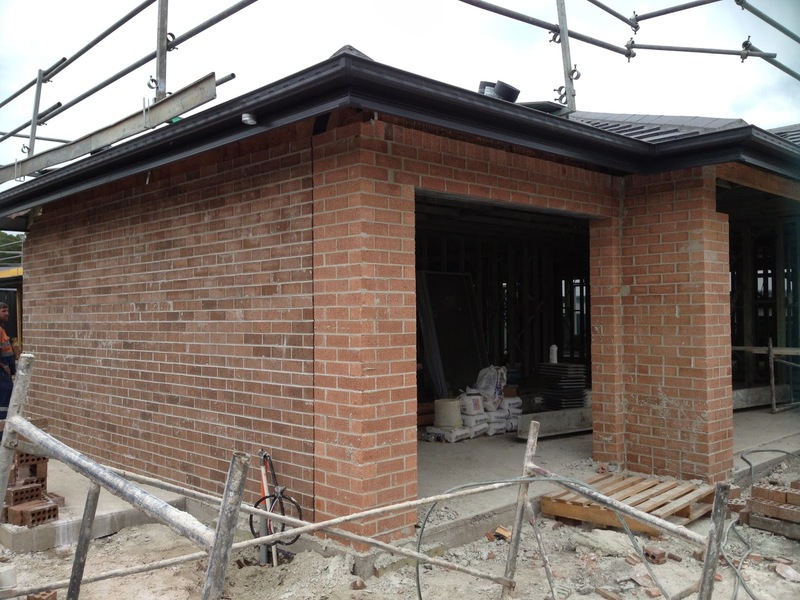 Bricks will hopefully be fully finished by the end of next week. 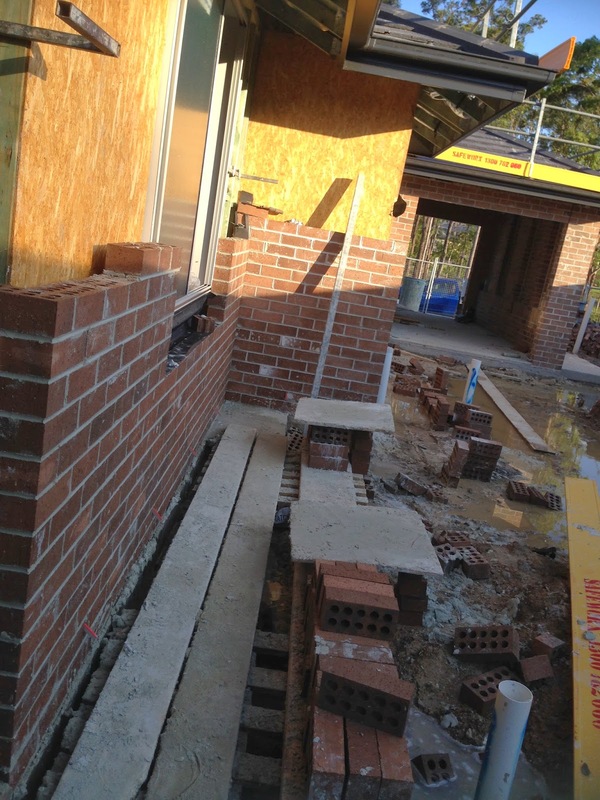 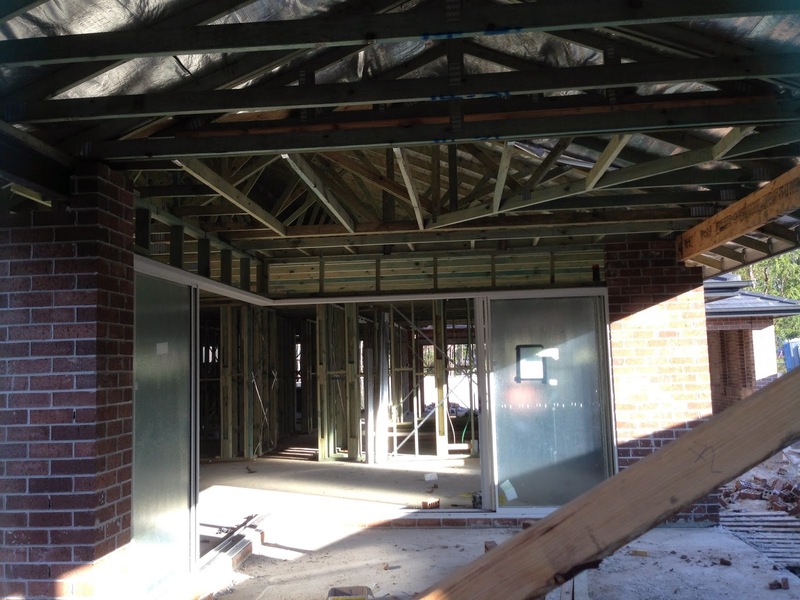 31/3/14 - Today we recevied our progress claim for brickwork........ but its still not finished!! 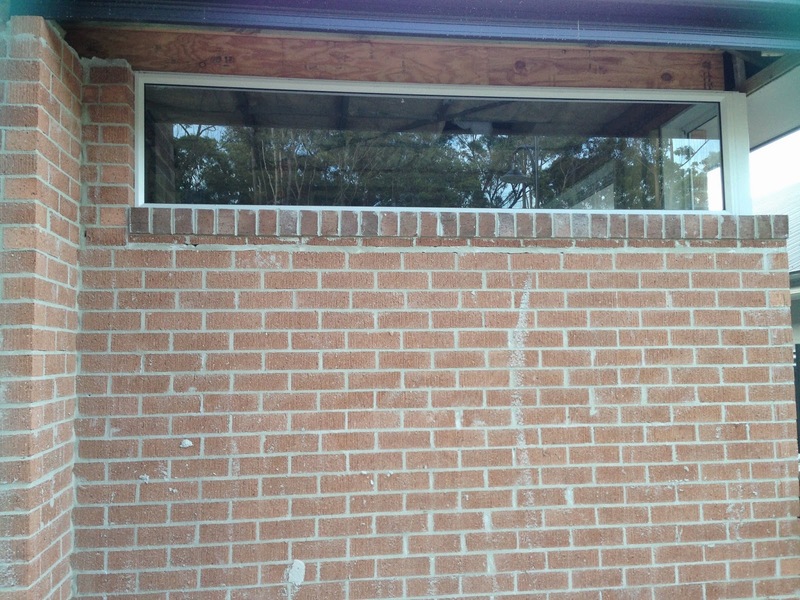 SS said it will be done tomorrow.... wont be submitting it to the bank for payment until it is. 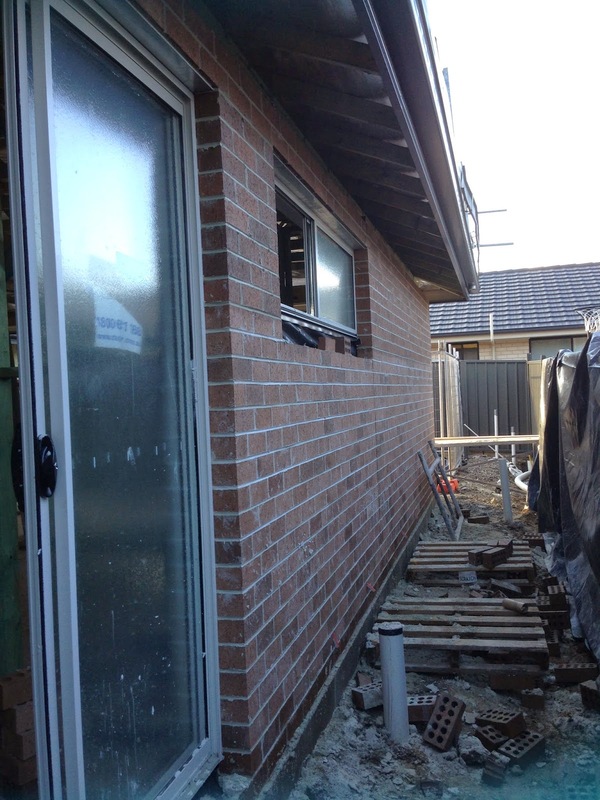 Called past this arvo to have a look and there is still quite a bit to be done - I really dont think it will be finished tomorrow. 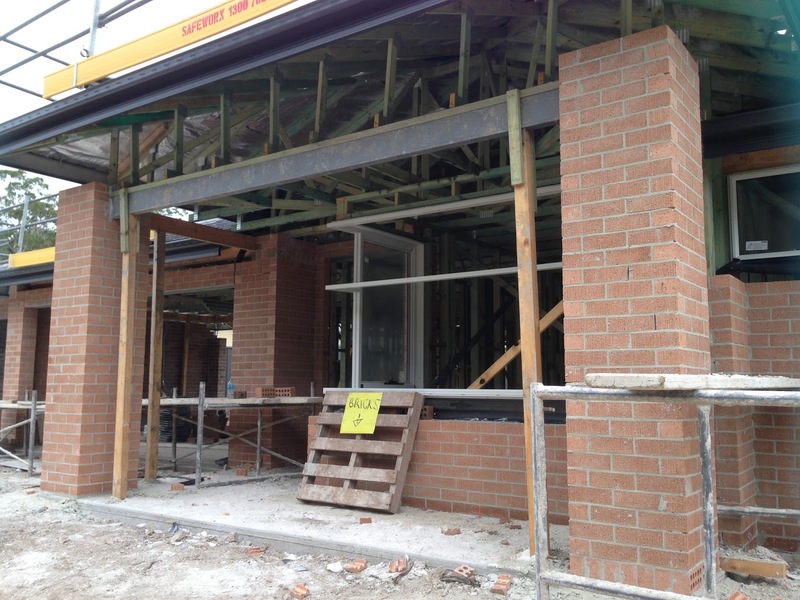 1/04/14 - Bricking continued today, looks like there is only about a days work left finishing off around the windows etc. 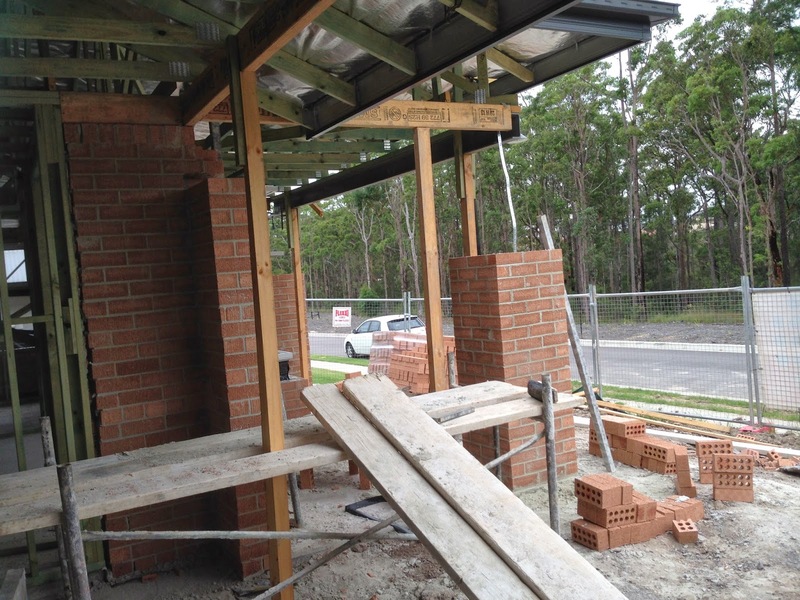 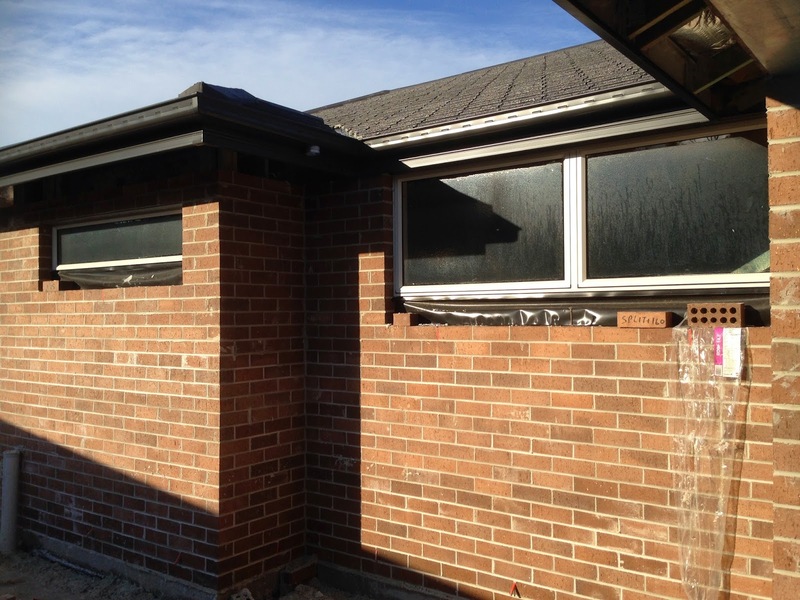 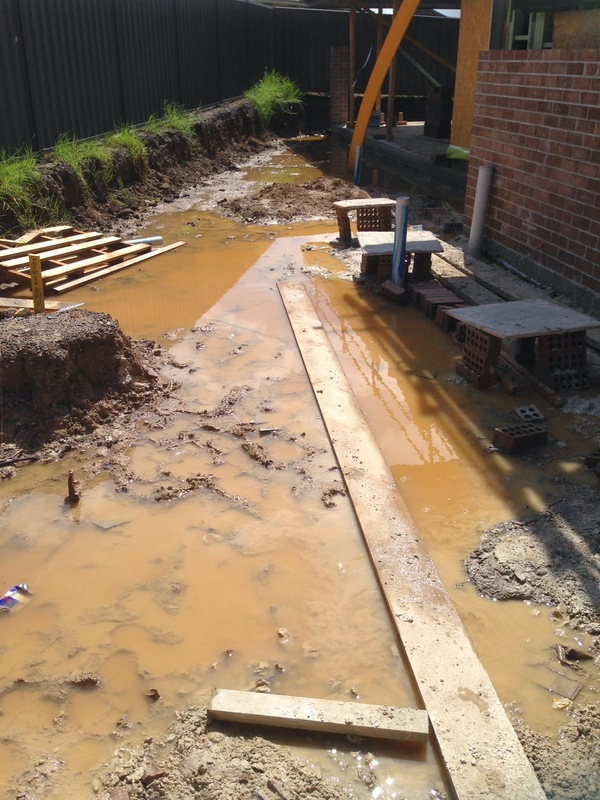 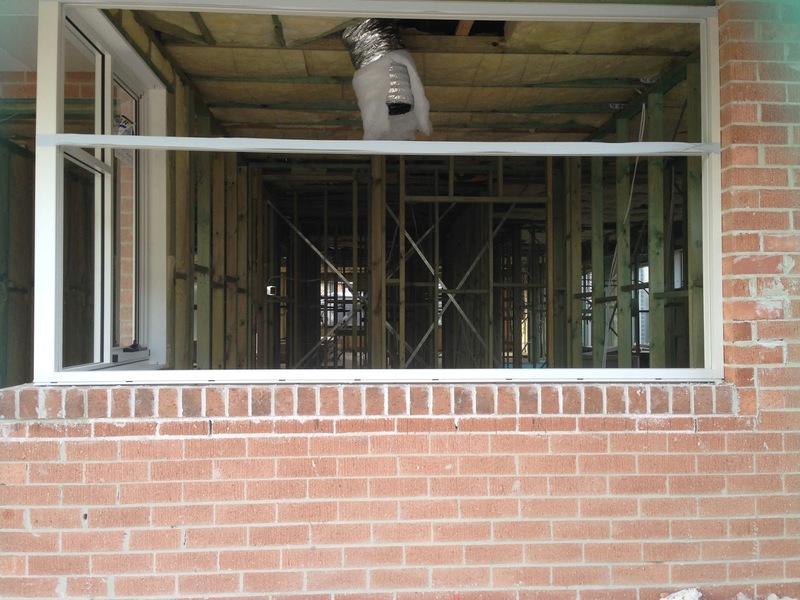 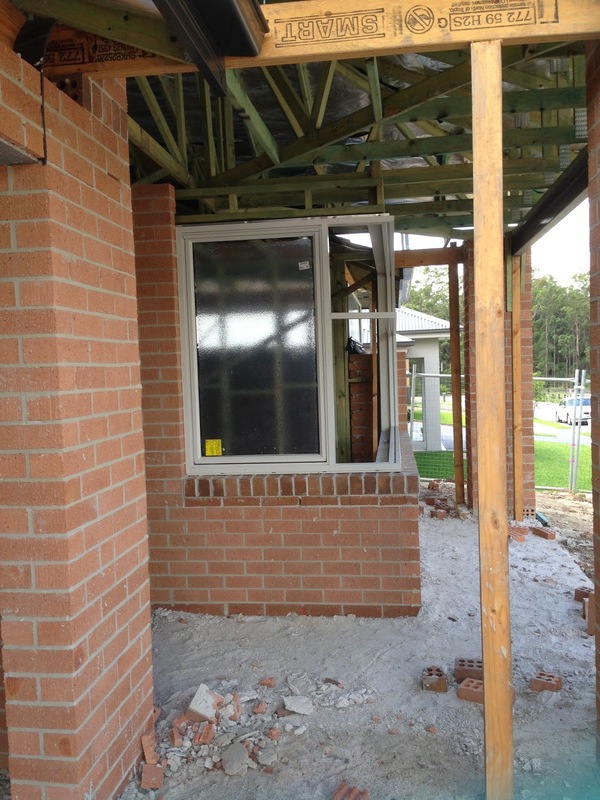 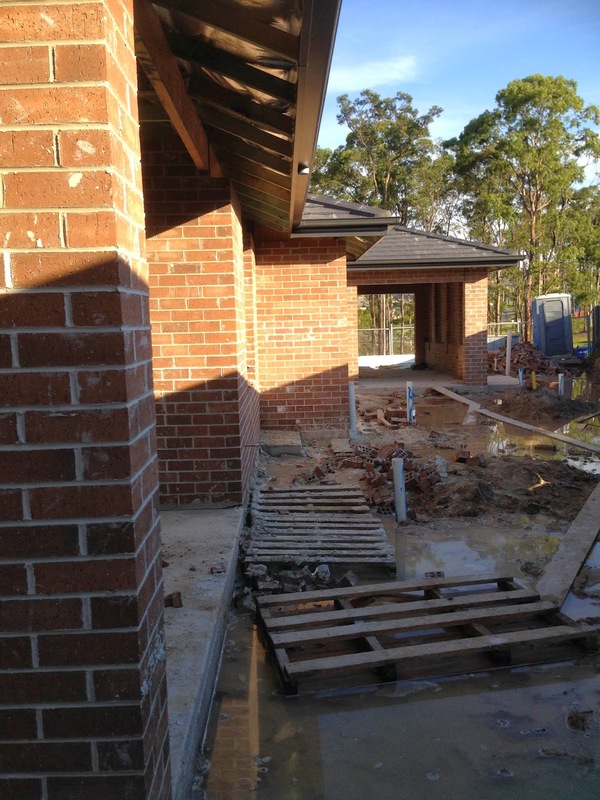 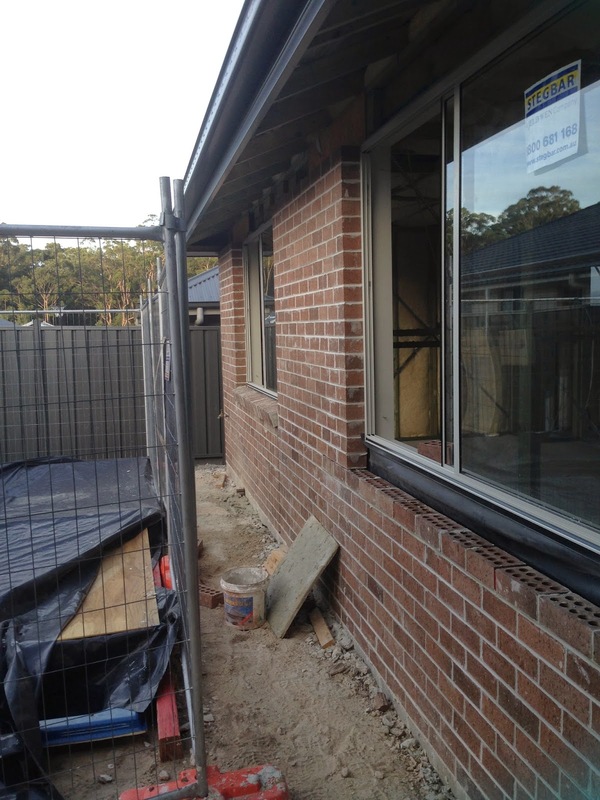 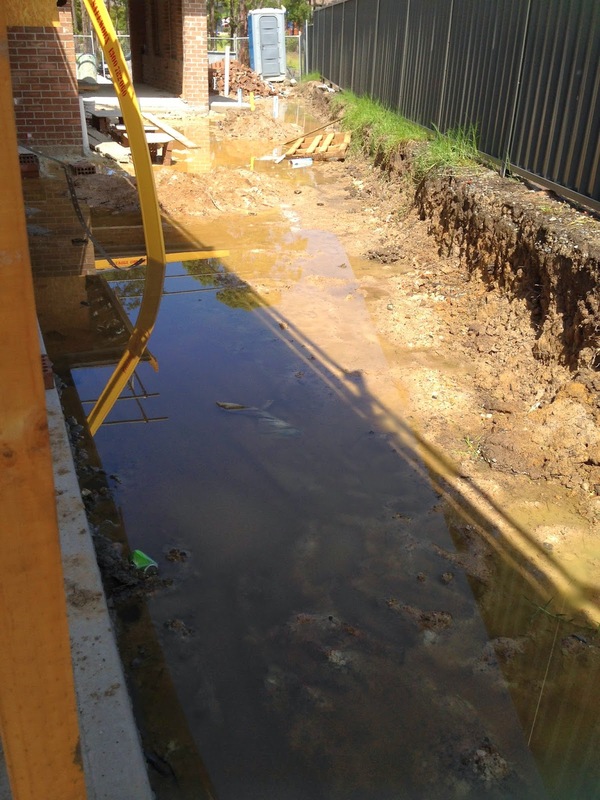 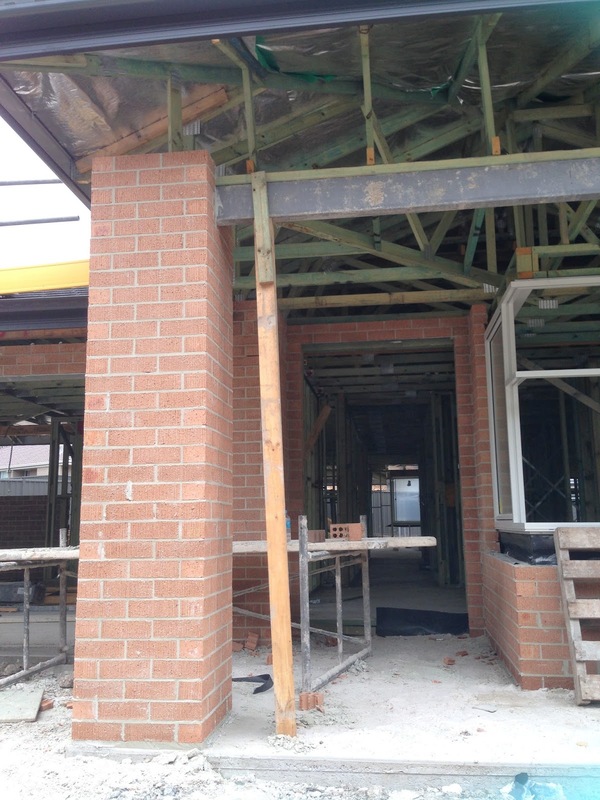 3/4/14 - no action with the brick work at all since tuesday, after being told by SS on monday that it would be completed on tuesday. 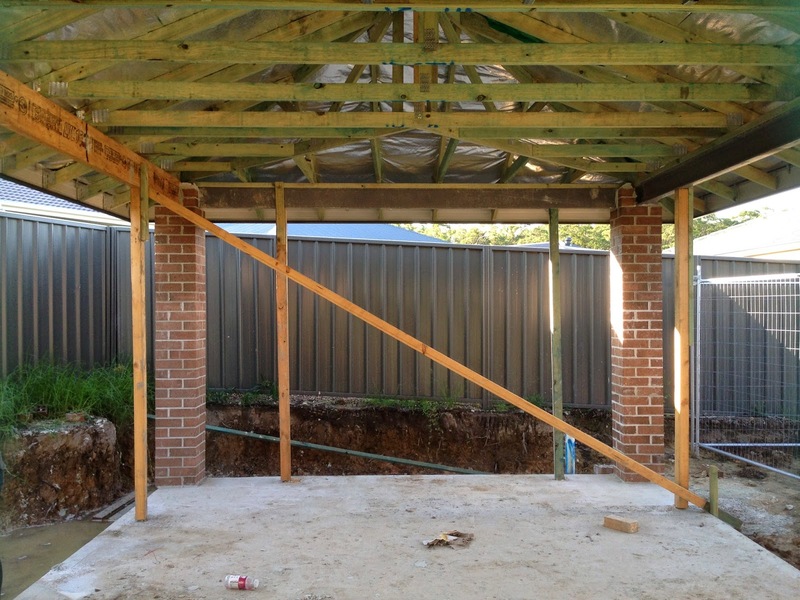 SS now cant give me a date that they will return to complete, but assures me that it wont hold up progress on the house. 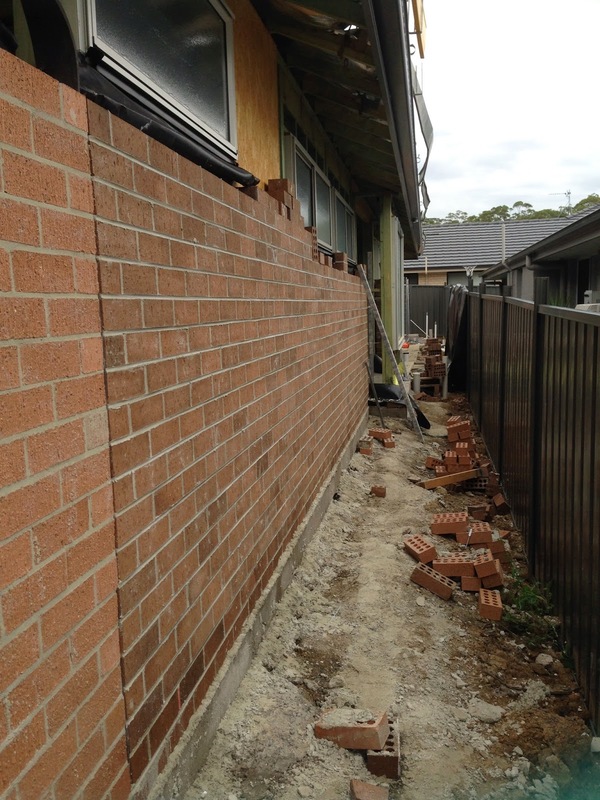 Will not be paying the bricking invoice until it is completed. 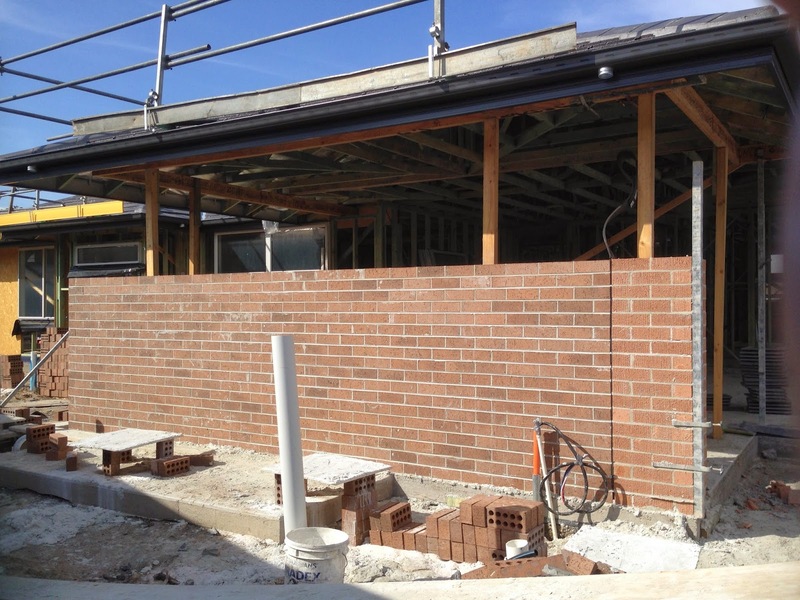 23/4/14 - The brickies finally returned today and have started to finish off the remaining brickwork, hoping they will get it completed tomorrow. 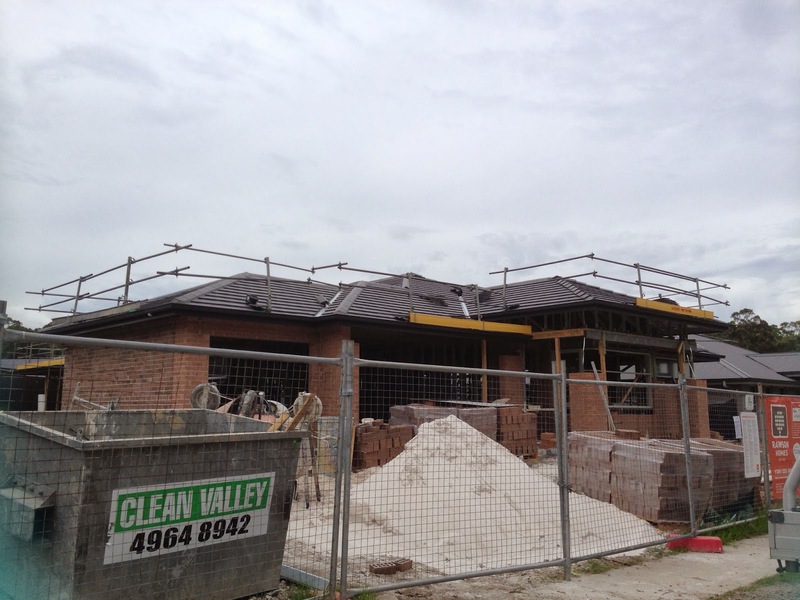 Cant wait to see it finally finished. 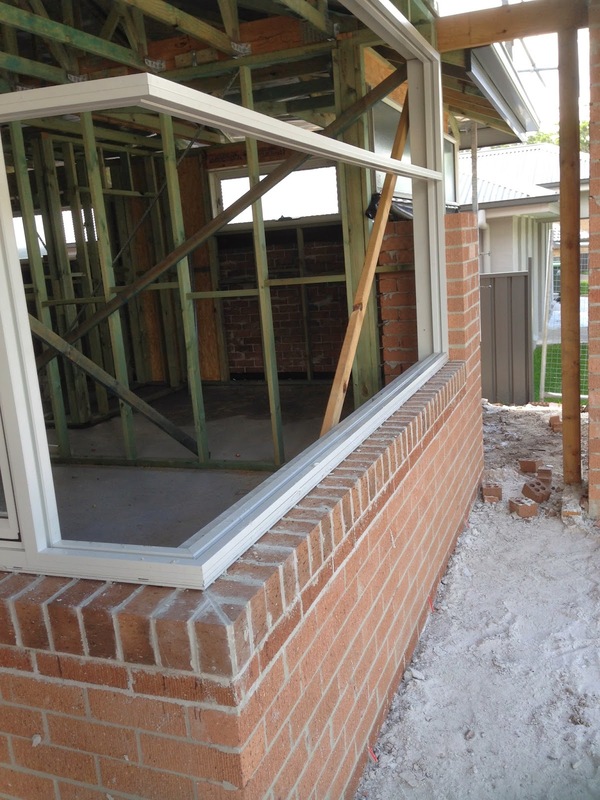 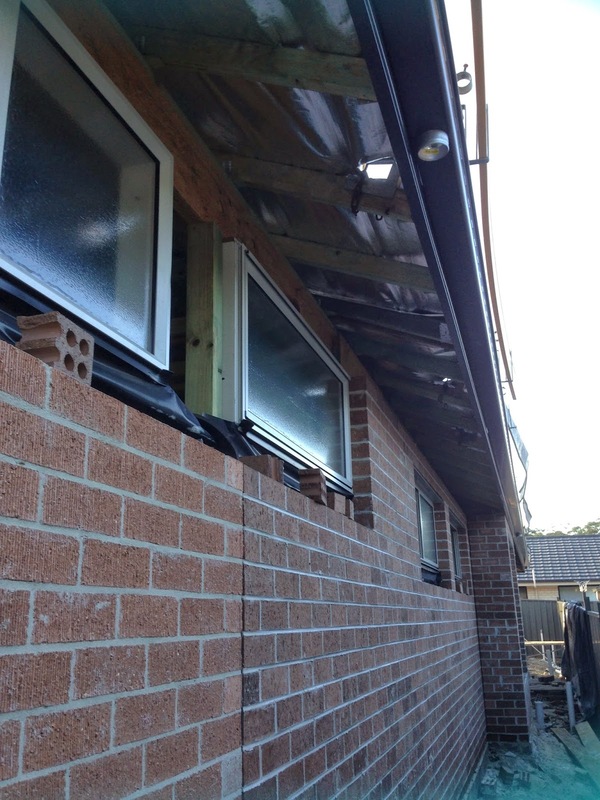 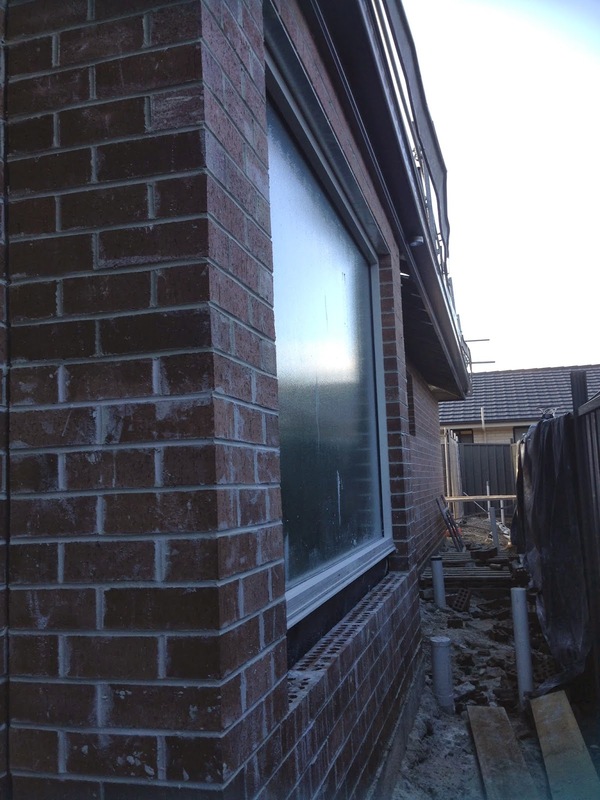 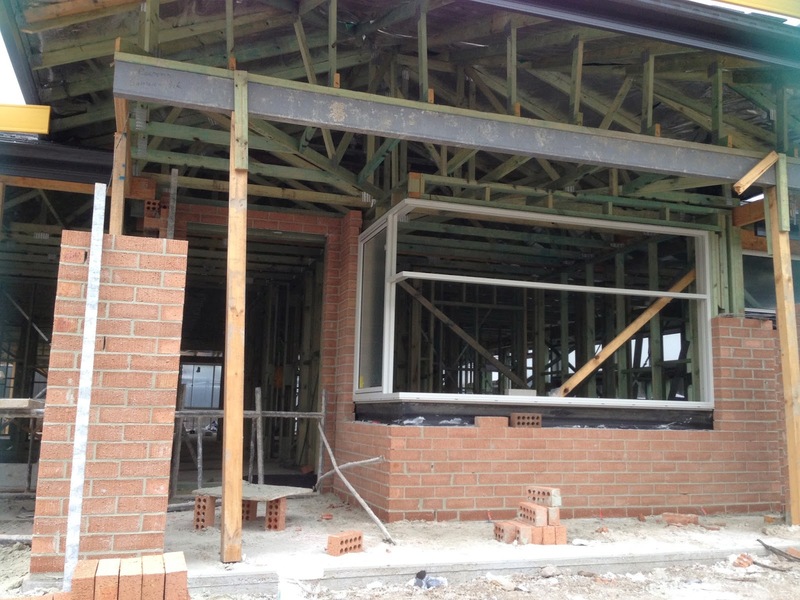 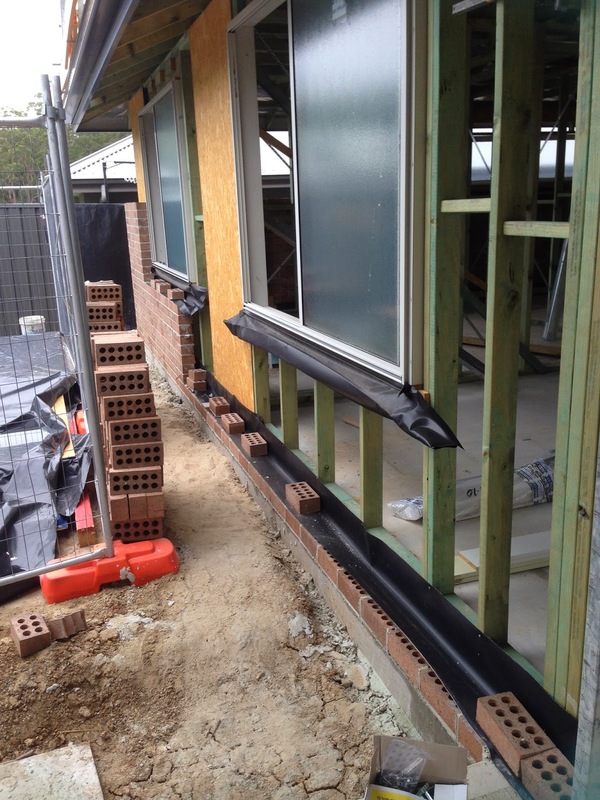 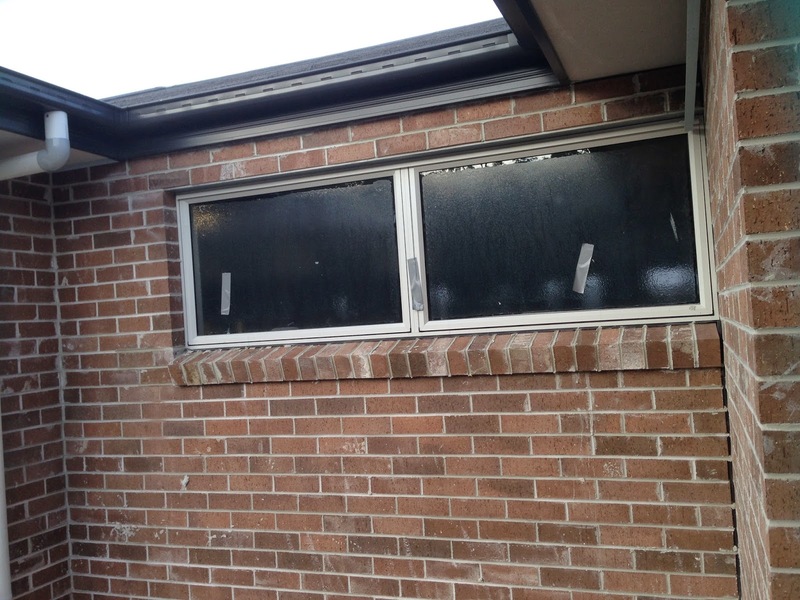 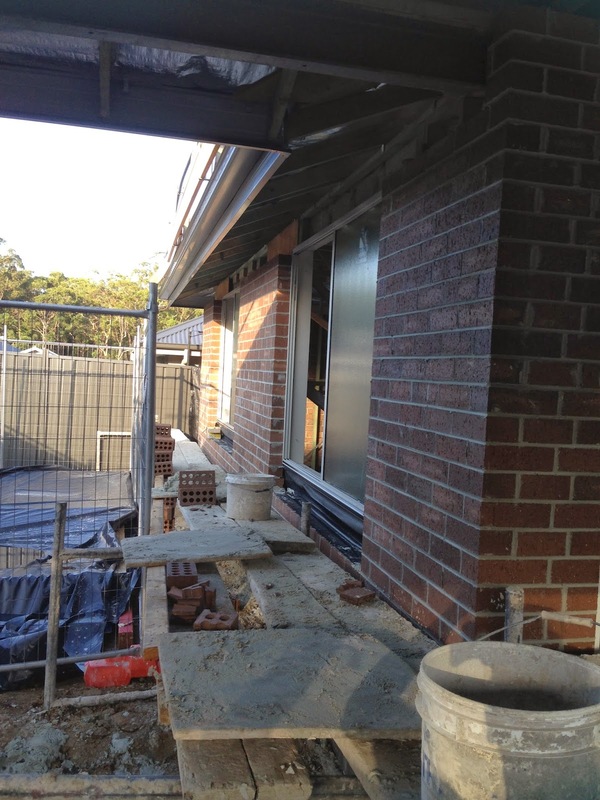 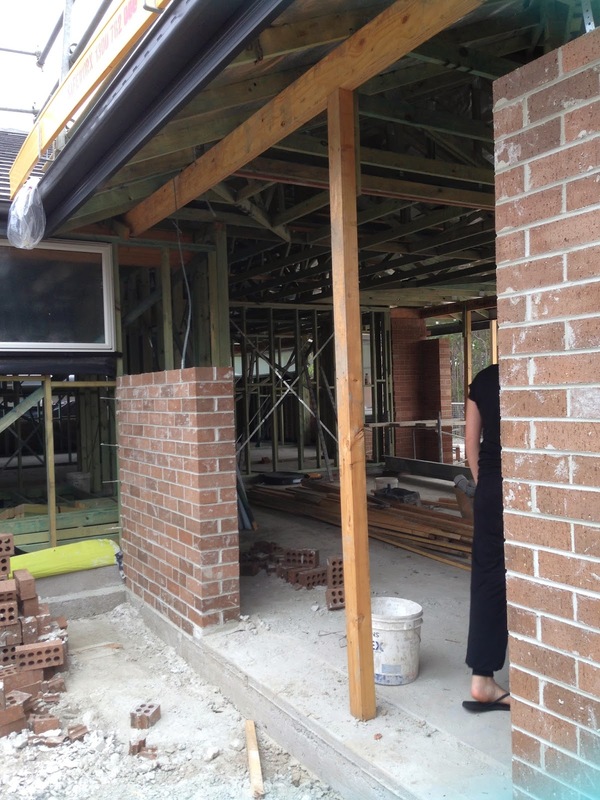 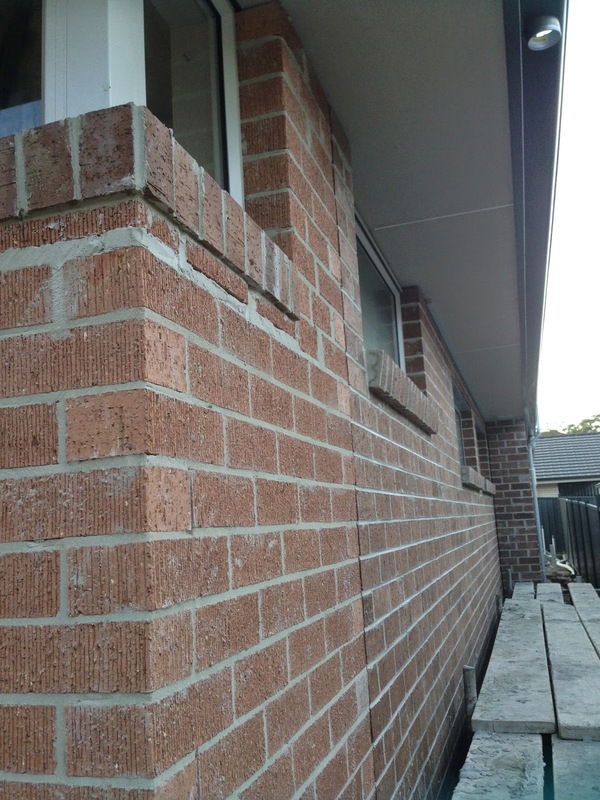 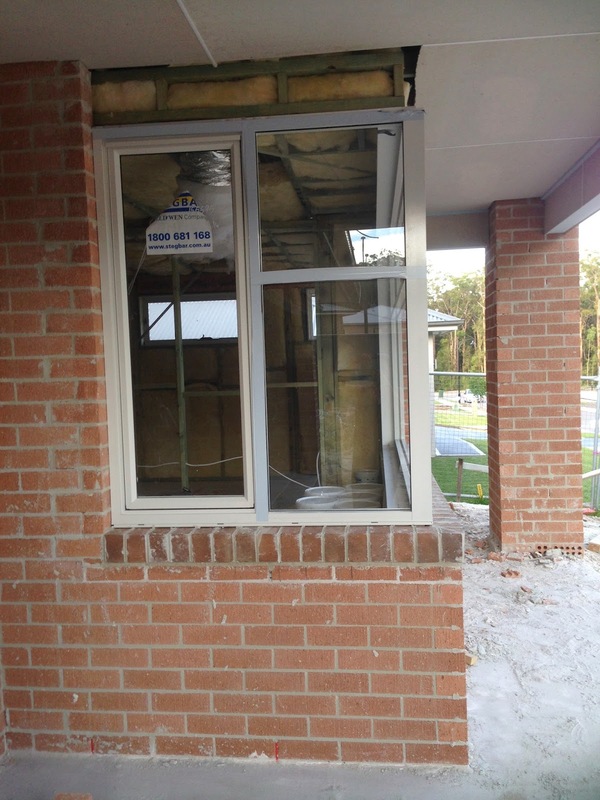 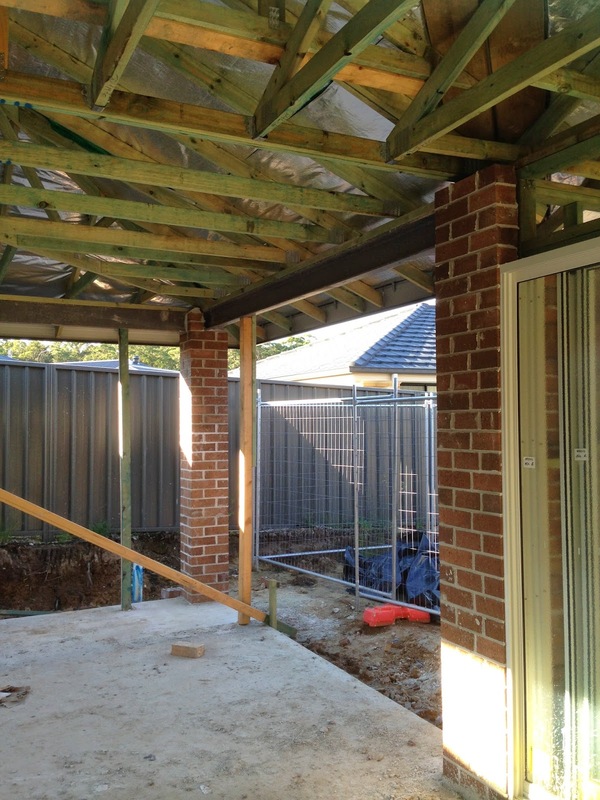 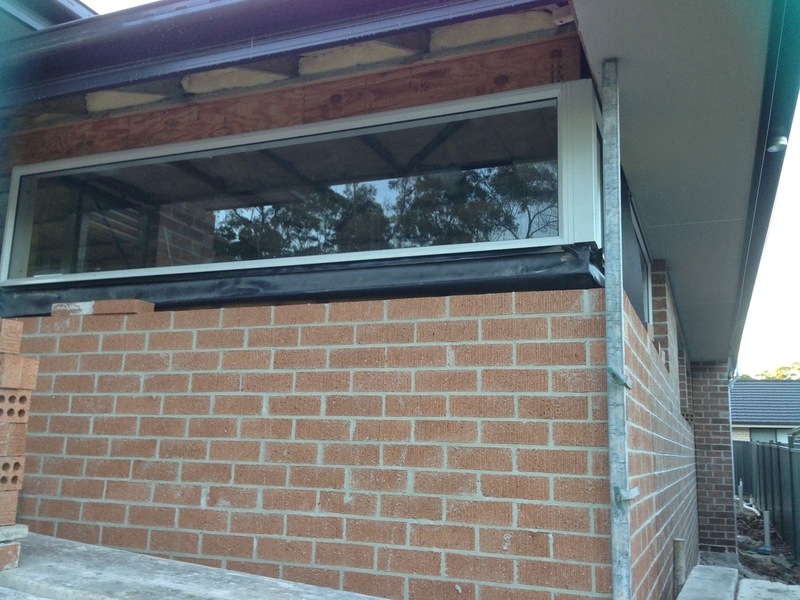 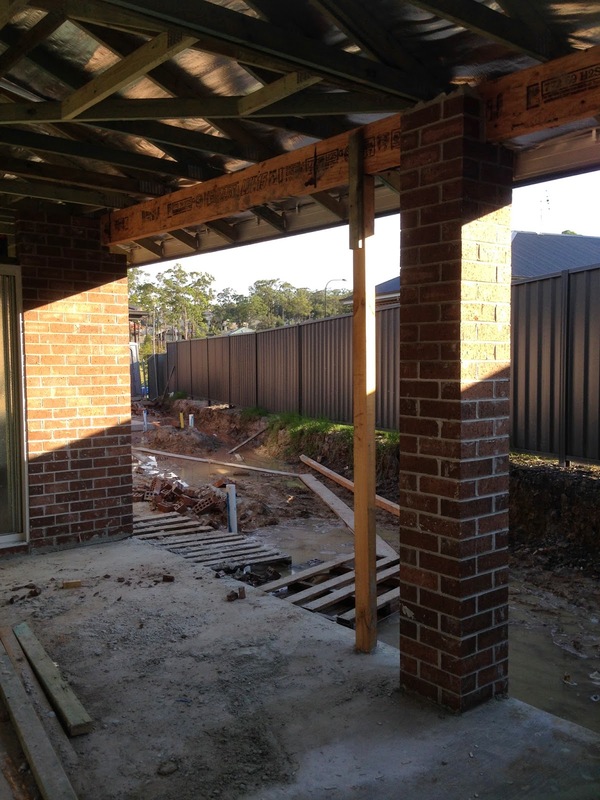 24/4/14 - Most of the sills were finished today, looks like just one back sill, some work above the garage door and front window to go and the bricks will finally be completed!